I have greatly enjoyed reading novels by Bernard Cornwell in the last 8 months, after intentionally avoiding them for years, assuming that he wrote pop historical fiction. I began with the Sharpe series and continued with the Saxon stories. I recently found The Fort at the local public library. The Fort tells the story of the battle of Majabigwaduce, which took place in northern Maine between the English navy and American army and navy during the American War of Independence. The English navy sailed from Halifax in the summer of 1779, with about 800 soldiers and three small ships, with orders to build a fort and secure the port of Majabigwaduce for England. The government of Massachusetts responded by sending an attacking force of 18 warships and 21 troop ships to remove the English threat from the Maine coast. The American navy was led by Commodore Saltonstall and the ground troops by Solomon Lovell, a member of the State Assembly. Within 24 hours of arriving on the Majabigwaduce River, the Americans had captured an island gun-battery which could prevent their ships from entering the harbour and landed their armed forces and captured the heights above the still semi-built Fort that was being constructed by the English under the leadership of Brigadier MacLean. What followed was disaster for the besiegers. Saltanstall refused to attack the harbour without the assurance that the army would first attack the fort, citing the logic that even if he defeated the three English sloops, he could not take the fort. Lovell, in turn, refused to attack the fort without the assurance of a naval attack on the harbour. For more than two weeks, the indecision continued, as American morale slowly declined. Finally, a relief fleet of English ships arrived to relieve the siege and, rather than allow any of its ships fall into English hands, most of the almost 40 American ships were burned. 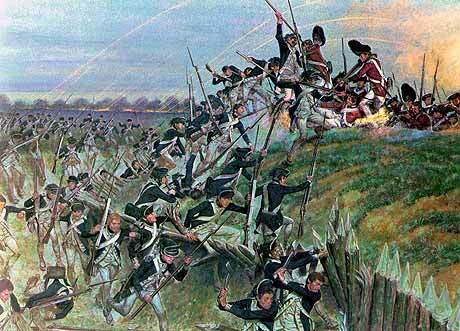 Majabigwaduce was to become the last British post surrendered to the Americans during the War of Independence! As I was reading The Fort, I thought about how decisions are taken at Nominingue. The senior staff meets each morning for a briefing and to hear reports as to what is happening in each sphere of the camp. The lower camp section director will make decisions for the campers and staff in lower camp. The decisions he makes rely heavily on the feedback and communication he receives from his head counsellors and counsellors. In the same way, the program director makes decisions which affect all camps, as well as the waterfront and the tripping program. 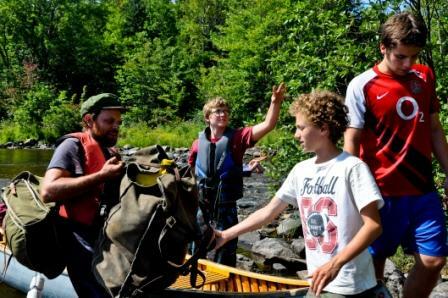 On canoe trips, although one of the counsellors is the trip leader, the counsellors frequently consult and work towards a consensus decision. Decision making works when roles are clearly defined and processes are in place to deal with regular, daily occurrences as well as with special situations. Before heading out on a canoe trip, staff need to consider alternative campsites, have planned exit routes for every stage of a trip and been able to discuss options in case of emergency. It is all the advance planning that ensures that decisions are made in a timely and effective manner, with the result that those decisions are accepted by the staff and campers involved.